Taya Smith is a beautiful singer who has proved she was born to win souls for Christ through worship and song ministrations. She’s had several roles with Hillsong Church’s music band, Hillsong United and has come a long way with the band, which has released eleven annual live albums and four studio albums. Smith is particularly loved for capturing the hearts of believers across the world with her superlative vocals in ‘Touch The Sky’ and ‘Oceans’ on United’s most recent albums, Zion and Empires. There is no doubt that Smith is breaking barriers on her way to succeed with her voice and the microphone, her fans are super excited she found joy in touching many lives with her musical talent. The Hillsong lead singer was born in New South Wales, Australia, which doubles as the place she was raised by her parents. Her date of birth is 10th May 1989. Further details about her personal life and family background, including the names of her parents, siblings, educational attainments, childhood, and early life are not available at the moment, as Smith is yet to comment on them. Irrespective of her height in the music community, Taya still prefers to keep information about her life and family to herself alone and this, no doubt, has helped her life and career generally. Taya’s musical career only began in the year 2010 when she moved to Sydney, where she came across Hillsong Church’s City Campus and later became a volunteer in the church creative team and in the youth and young adults departments. Actually, it was a secular musical project that brought Taya to Sydney but as fate would have it, she found herself in the church where she began nurturing her passion for Jesus Christ and ministerial projects. Before serving in the departments we mentioned earlier, she started as a member of the Hillsong Church’s worship team and later became a youth leader. As Taya continued to grow in faith, she began to wax stronger in worship ministration and love for the youths. She later joined the Hillsong’s youth worship group called Hillsong Young & Free and in the recording of their debut album titled: We Are Young & Free. Since then, she has continued to embark on tours with the group. Taya Smith’s musical career with Hillsong recorded a major breakthrough in February 2013, when she was appointed a member of the church’s creative team and saddled with the responsibilities of managing the vocal team, fostering productivity during youth adult events, establishing standard vocals in major Hillsong events and touring with Hillsong musical band, UNITED. In the course of her career with the group, she has banded together with notable gospel musicians like Joel Houston, Jonathon “JD” Douglass, Jad Gillies, Matt Crocker, Dylan Thomas, Simon Kobler, Michael Guy Chislett, and others. Whenever Smith is not traveling, she is somewhere teaching people in the creative team, spearheading worship in a weekend service, or organizing prayer meetings. Is She Married? Who’s Her Husband? 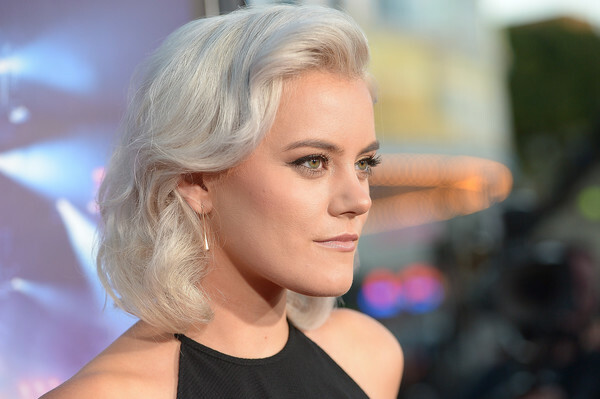 Ever since Taya Smith officially said “I Do” to her sweetheart, she has never shied away from sharing her story of falling in love. The lead singer of “Oceans” has been a married woman since March 23, 2018, when she exchanged her marital vows with the man of her dreams, Ben Gaukrodger, in Sydney, Australia. Smith and Ben became engaged in December 2017 and three months later, they eventually sealed their love for each other in the presence of their friends, family, and colleagues. Their wedding was wonderfully officiated by one of Smith’s bandmates, Jonathan Douglass, who is popularly known as JD. For some reasons, information about Taya’s husband is not available to the public at the time of our writing. However, his wife once shared in an interview that he is very passionate about Jesus Christ as well and that he is someone who is very comfortable in his own skin. For the singer, Gaukrodger is nothing short of a wonderful gift from God. See Also: Is Donnie Mcclurkin Married, Who Is His Wife, Son? Is He Gay? Not only her height, but details about Taya’s other body measurements are also difficult to come by. They are not listed either on her profile or online yet but if you are a loyal fan of the talented gospel singer, you’ll agree that she is in good shape. The Taya Smit we’ve known all these years has a slim build, she used to rock a blonde hair until sometime in 2017 when she cropped it, which brought about a mixture of support and criticism among her Christian supporters. She is blessed with a pair of beautiful brown eyes and nicely-arranged set of teeth, which makes her smile more captivating.